We’re always on the search for the best bushcraft knife available. With bushcraft, you’re constantly using your knife for a variety of skills – from cooking to batoning to rope making. So, it’s important you buy a bushcraft knife that is high-quality and reliable. 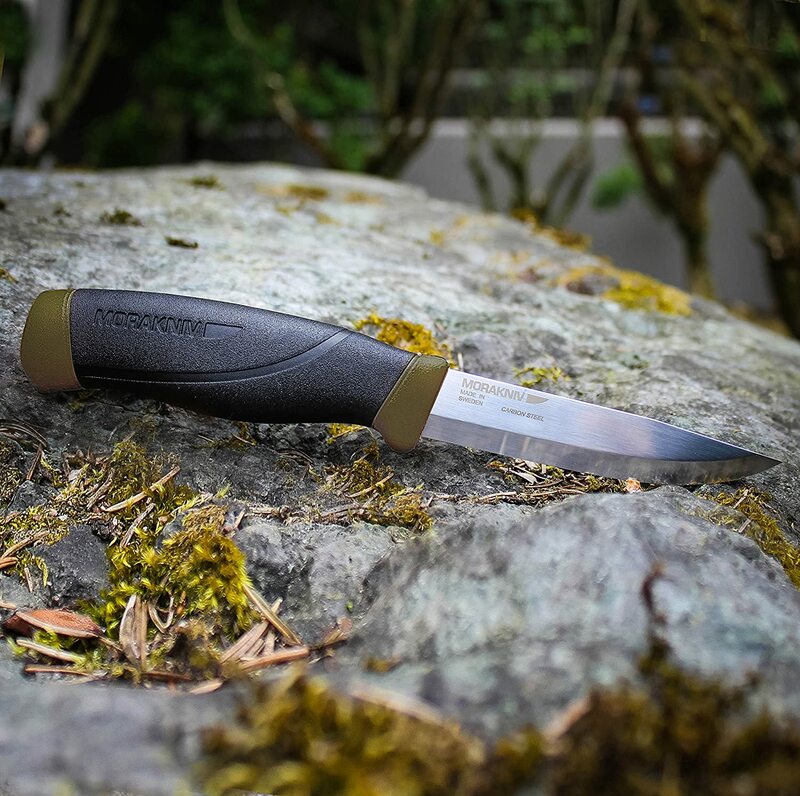 With this bushcraft knife review, we’re taking a look at the Morakniv Companion Heavy Duty Knife with Sandvik Carbon Steel Blade. Morakniv knives have a reputation for their sharpness right out of the box. 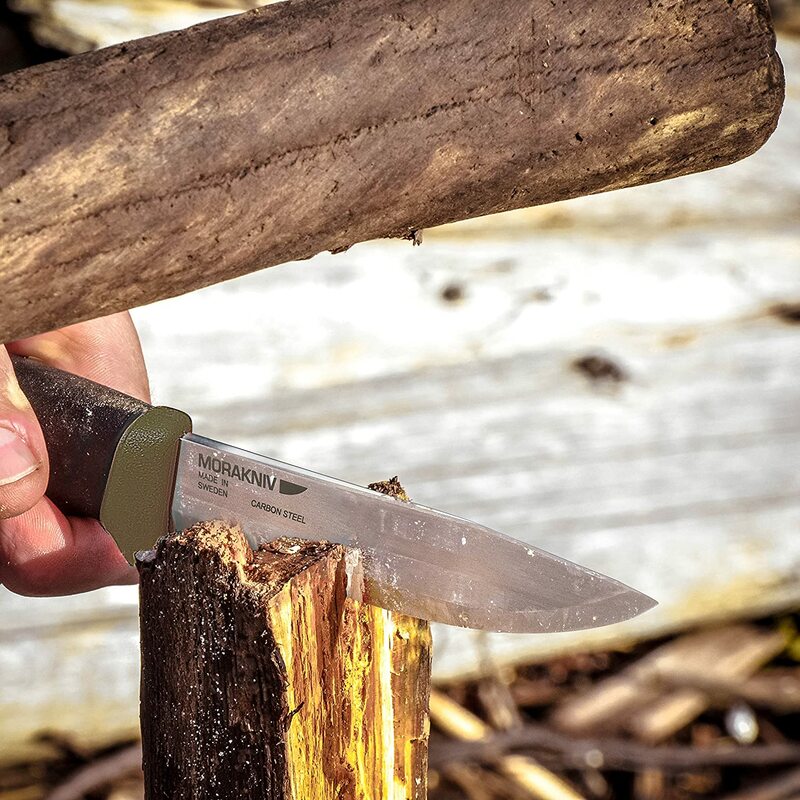 The Morakniv Companion Heavy Duty Knife arrives super sharp and ready to go to work. The blade is sturdy and maintains its edge well through different tasks. The knife handle is made of hard plastic with textured rubber material and has a nice ergonomic design. You can comfortably hold your grip on the knife handle, even in wet or freezing conditions. The handle isn’t too large or too small, for easier handling for both larger and smaller tasks ranging from splitting wood to carving spoons. I really like that this bushcraft knife can be used for virtually all tasks around the camp, including heavy-duty tasks like batoning. The blade on the Morakniv Companion Heavy Duty knife is 1/8 thick so it can take the beating. 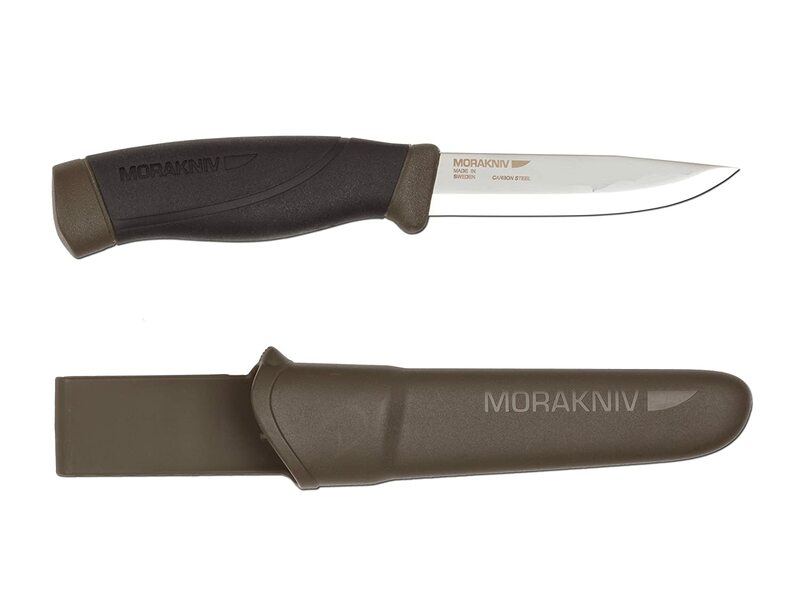 The Morakniv Companion Heavy Duty Knife with Sandvik Carbon Steel Blade is available in two color options – Military Green and Orange. The color affects the accent colors on the knife and the color of the sheath. The sheath is made of hard composite plastic. It has a slim design and a snug fit that wraps around the edge of the handle. The Morakniv knife sheath also includes a belt clip so you can have the knife near when you need. 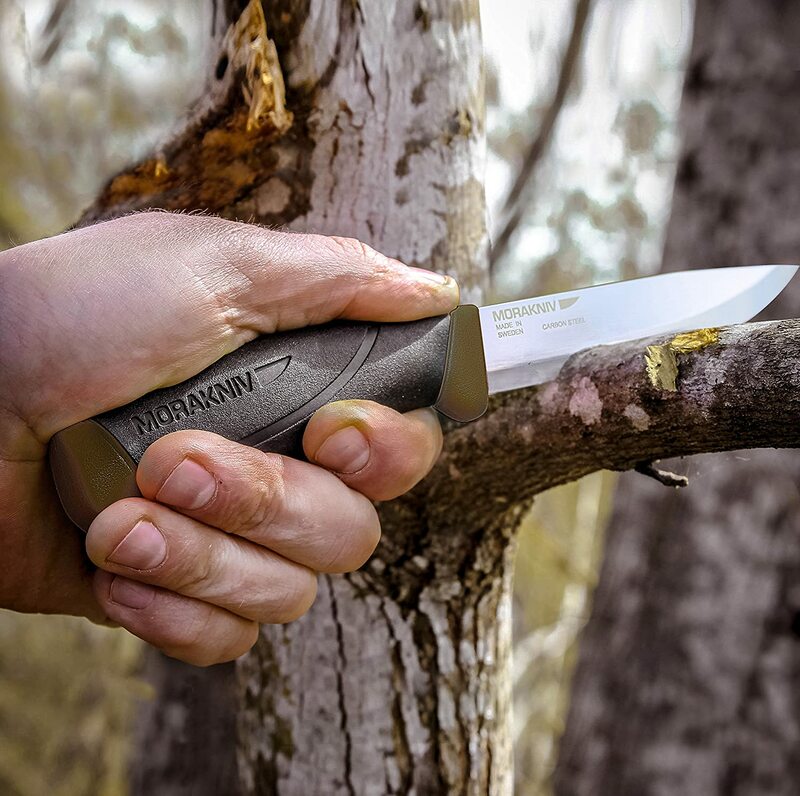 If you’re looking for an affordable and reliable bushcraft knife, the Morakniv Companion Heavy Duty Knife is a solid choice. While you can buy the knife on Amazon for as low as $17.95, the knife performs as well as many higher priced knives, making it a smart investment in bushcraft gear. Read this article provides a few useful tips for buying the best bushcraft knife.